Films featuring characters who smoke could soon be handed an automatic 18 rating while showing in Liverpool. Liverpool Primary Care Trust (PCT) wants young people banned from exposure to smoking actors because of research suggesting they influence children. An estimated 5,300 under-18s smoke in Liverpool, half of whom were influenced by films, the PCT claimed. If the policy is approved, the council could enforce 18 classifications under the Licensing Act 2003. The city council has stressed a decision is yet to be made, and people in the city have been urged to engage in a consultation, which starts in August. Under the proposals, classic films which feature smoking characters would be unaffected and the policy would only be applied to new releases. 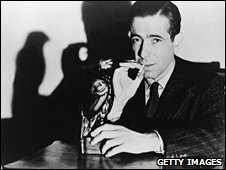 However, films about historical figures and those which show a "clear and unambiguous portrayal of the dangers of smoking" would be exempt. Councillor Malcolm Kelly, chair of the licensing and gambling committee, said: "I would stress that no decision about this proposal has been made yet. "We were given a presentation earlier this year by the PCT in which they spoke about the high level of young people who smoke in Liverpool and that research showed young people are more likely to smoke if they were influenced by seeing their favourite stars smoking in films. "However, we want to get the views of a wide range of organisations and the public in general before we decide whether to go ahead with this idea." Under the 2003 act, local councils have statutory powers to classify films to be exhibited in their particular areas. Government guidance says authorities should only overrule the British Board of Film Classification (BBFC) if there are "very good local reasons". In its report to the council, Liverpool PCT said the city's smoking prevalence was "excessively high" at 29%. The national level is 22%. It added that research from several countries suggested smoking in movies was "the most potent of the social influences which lead young people into smoking". BBFC spokeswoman Sue Clark told the BBC that while the council was "obviously entitled" to re-classify films, members of the public were unlikely to back the idea. "We have done our own consultation with the public and we specifically asked them about whether smoking in films should be a classification issue - we were told it shouldn't," she said. "We don't make it a classification issue unless a film is actively promoting smoking to young people - and we've never seen a film which does that." Excessive smoking in a film may be flagged up in its consumer advice, or the extended classification information on the BBFC website, said Ms Clark. "But of course if parents still feel very strongly they can always avoid seeing them," she added.